The newly published United Nations (UN) E-Government Survey presents a systematic assessment of the use of information and communication technologies (ICTs) to transform the public sector by enhancing its efficiency, effectiveness, accountability, inclusiveness, trustworthiness and supporting people’s participation and engagement. The survey examines emerging e-government issues and trends, and innovative practices that are relevant to the international community. By studying broad patterns of e-government around the world, the survey assesses the e-government development status of the 193 UN member states. It serves as a tool for decision-makers to identify their areas of strength and challenges in e-government to inform policies and strategies. It also supports countries’ efforts to provide responsive and equitable digital services to all and bridge the digital divide in fulfilling the principle of leaving no one behind. The survey in particular examines how governments can use e-government and information technologies to build sustainable and resilient societies. By ranking them according to agreed criteria – Denmark topped the latest rankings with the UK in 4th place – it also offers a picture of their relative success. The UN aim is to invite all stakeholders to collaborate in using e-Government solutions to promote sustainable development and generate public value ensuring access for all to inclusive public services. The UN said that the increasing use of ICTs by institutions has a dramatic impact on public services and their delivery. Indeed, ICT-enabled public service delivery is much more affordable for an increasing number of users and more cost effective for governments than traditional supply channels. ICT use also enables more targeted, personalised and up-to-date service design and delivery. That gives the service user greater benefits than the sole reliance on traditional service channels, in terms of access, convenience through 24/7 availability, savings in time, and the cost of travel to physical premises such as offices. “ICT use transforms citizens’ lives, communities, civil society groups and businesses from passive consumers of data and knowledge to active producers. Governments thus need to recognize the value of collaboration and crowd-sourcing, which enable citizens and others to contribute as co-creators”, the UN said. The survey explores a number of areas within e-Government such as cyber security, digital inclusion, smart cities and digital identity. The UN estimated that the cost of addressing cybercrime will double from $3tr in 2015 to $6tr by 2021. One reason is the increasing interdependence of ICT devices and components, where the disruption of one may cascade and affect many other services. The UK issued its second five-year National Cyber Security Strategy in 2016. “The Strategy, established by the Cabinet Office, aims to make the country one of the safest places in the world for online business” the UN said. The UN recognises that fast-evolving technologies have a potential to transform the traditional way of doing things across all functions and domains of government as well as the ways in which ICT offer governments an unprecedented opportunity to achieve sustainable development and improve the well-being of their citizens. The UN thinks that the challenge lies in the fact that “the speed with which technology is evolving surpasses the speed with which governments can respond to and use ICTs to their advantage”. The survey discusses some of these transformative technologies, such as data analytics and Artificial Intelligence (AI) including cognitive analytics, robotics, bots, high-performance and quantum computing, explaining how forces driving such technologies are the result of long-term and painstaking research and development. The survey recognises that AI is beneficial, particularly with its potential applications, touching on Neural Networks, Natural Language Processing, Machine Learning, and Robotic Process Automation. “The recognised benefits of AI are error reduction, robust functioning, delegation of repetitive jobs, improved security, improved business operations as well as improved customer experience”, the UN said. “Digital transformation does not depend only on technologies alone, but also requires a comprehensive approach that offers accessible, fast, reliable and personalised services. The public sector in many countries is ill-prepared for this transformation. Governments can respond by developing the necessary policies, services and regulations, but many of these instruments are slow in being “brought to the market”. Principles such as effectiveness, inclusiveness, accountability, trustworthy and openness should direct the technologies and not the other way around”, the UN added. The survey concludes that while e-Government began with bringing services online, the future will be about the power of digital government to leverage societal innovation and resilience and to transform governance to better achieve the sustainable goals. 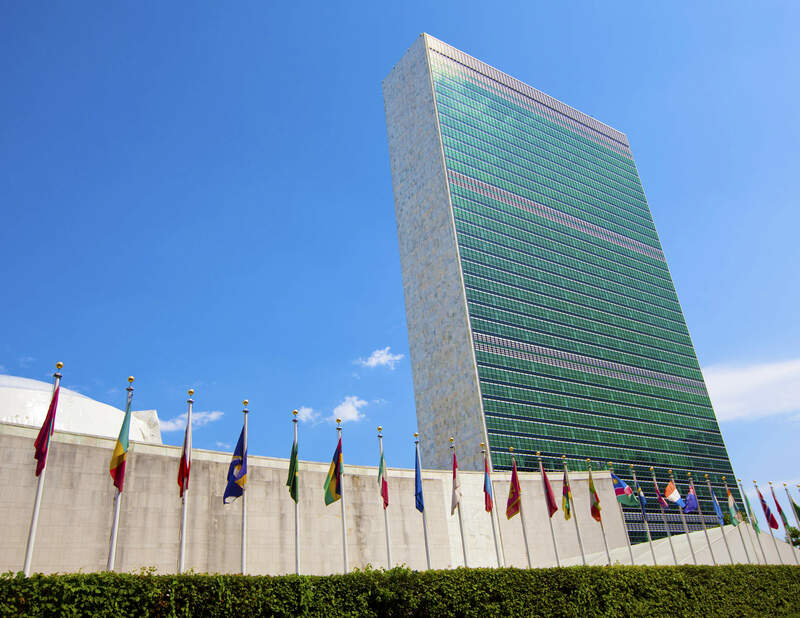 The UN recognises that the advantages of Blockchain over traditional centralised databases are that it can offer resilience in cases where central databases are difficult to secure. It also distributes management of the ledger, increasing trust in it by not centralizing its management in the hands of more actors. However, the survey points out that this piece of technology requires a large peer-to-peer network to resist manipulation of the blockchain. “Having only a small number of nodes can increase the likelihood of the blockchain being compromised. To increase the size of the peer-to-peer network also means that there should also be an incentive to do so. In commercial applications such as cryptocurrencies, those incentives are financial. For public services, alternative incentives should be devised. Advances in computing also present a possible risk to the cryptography, technology that Blockchain currently relies on. It is thus crucial to consider security in any application,” it said. “Blockchain has potential public sector application for record management, identity management, voting, taxes and remittances, and even Blockchain-enabled regulatory reporting. A proof of concept was developed, for example, in Ireland. Blockchain can equally be used to better manage development aid by enhancing security and transparency, as well as making international payments more accessible and easier to monitor”, the UN added. The survey estimates that around 1.1bn people worldwide—mostly people living in poverty, migrants and refugees —have no legal identity. The UN wants to address this issue as it believes that providing digital identities to these vulnerable group can help by expanding financial inclusion and preventing fraud and corruption in the delivery of social services. The survey brings both the Peruvian national electronic identity document (DNIe) and the Indian Aadhaar programmes as examples of successful efforts to provide digital identities. The DNIe, established in 2014, integrates two digital certificates, one of which enables the cardholder to sign electronic documents with the same validity as hand-written signatures. The electronic ID provides access to all public digital services, for example, electronic voting or processing certified copies of official acts with full legal value. The identification system has been recognized by the UN as one of the best in Latin America. In India, the Aadhaar program is providing digital identity to the entire population and is serving as the basis for interacting with the Government at various levels. Aadhaar captures a biometric profile consisting of an iris scan, finger prints and a photograph. Most Indian States have now enrolled more than 80 per cent of their residents. The UN said that the opportunities to create digital identities are further enabled by high mobile penetration rates. As most mobile operators are now mandated to verify the identification of users when they register a mobile SIM card and now have ‘know-your-customer’ (KYC) obligations for mobile financial services, governments have now an opportunity to increase digital identity registrations and improve socio-economic outcomes. For instance, mobile operators are now involved in birth registration systems in the United Republic of Tanzania, Uganda, Ghana, Senegal and other African countries. The Survey provides an overview of assessment models and presents the findings of a pilot study on e-Government carried out in 40 cities around the world. Among the top 10 of the 40 pilot cities, Moscow ranks the highest, followed by Cape Town and Tallinn (second, tie) and by London and Paris (fourth, tie). According to the Local Online Services Index (LOSI) used in determining this ranking, the remaining cities in the top 10 are Sydney, Amsterdam and Seoul (seventh, tied), and Rome and Warsaw (ninth, tied). The LOSI covers the technical and content aspects of the city/municipality websites, as well as electronic services provision and e-participation initiatives available through the portals. The survey points out that to reap the full benefits of e-government moving forward, high-speed broadband access and greater bandwidth are necessary components. Although both fixed- and mobile-broadband subscriptions have increased significantly around the world, the proportion of people who do not have access continues to far outnumber those who do. Lack of access remains a particular problem in low-income countries where in 2016, only 12 out of every 100 people were Internet users, according to the latest data available. The middle-income countries rated higher in terms of having more Internet users – about 42 people per 100 – although a majority of their populations remains offline. Mobile connectivity was once considered a unique opportunity to bridge access divides, but countries are increasingly realising the importance of fixed-line infrastructure to enhance e-inclusion and equal opportunity for all. This is made even clearer with the introduction of 5G mobile networks which require fibre networks. Governments around the world are formulating a wide variety of plans to bridge the connectivity divide. That includes the UK which yesterday produced a new telecommunications strategy. “European countries, such as France, are focusing government investment almost entirely on rural areas, in part due to European Union funding guidelines preventing support for urban areas where private sector operators are investing. In Australia, the Government is building and funding a national broadband network combining fixed, mobile, and satellite connectivity”, it added. The UN said that the growth in the volume of data sources as well as in analytics tools present an opportunity to deliver better informed policy-making and to reduce the time spent on policy cycles and iterations. “Algorithms can determine information flows and influence public-interest decisions, which, until recently, were handled exclusively by human beings. Taking advantage of Big Data in the public sector also implies expanding the data pool of public-sector information and statistics to include new data sources stemming from the digital economy”, the UN said. Meanwhile, as the Department for Digital, Culture, Media and Sport (DCMS) today weighed up its reaction to the UK’s fall from the top slot in 2016, the influential technology suppliers group techUK discussed the UK’s rankings slip. Georgina Maratheftis, programme manager for local government at techUK said, “While UK citizens continue to benefit from one of the top digital governments in the world, the relative decline noted by the UN in our online services and digital skills rankings is somewhat concerning given the challenges posed by Brexit. Digital transformation of the public sector is more crucial than ever to meeting these challenges and providing UK citizens with better, more efficient public services that are fit for the future.